A 58-point return from Gameweek 25 was powered by Alexis Sanchez's (£11.7m) 30-point contribution as captain. Without the Chilean for this weekend, we are turning instead to a powerful two-man forward line bidding to punish two of their favourite Premier League opponents. With clean sheets in two of his last three Gameweeks, a home fixture with Burnley offers the opportunity for further returns. The Clarets arrive at the KCOM Stadium having scored only five goals from their 11 away trips. Despite failing to produce a clean sheet over the last three Gameweeks, our faith in the Blues wing-back remains unshakable. While opponents Swansea City will pose a threat at Stamford Bridge, Alonso's attacking qualities promise points even if Antonio Conte's defence are breached. A go-to option for favourable fixtures, the Dutchman offers the potential for double-digits when Middlesbrough visit Selhurst Park. Boro have scored only two goals in their last six Gameweeks, while Van Aanholt's attacking surges will be a key weapon for the Eagles. With five shutouts in his last eight Gameweeks, plus a goal and three assists, the right-back heads into a home meeting with Sunderland in fine FPL form. The Black Cats have failed to score in three of the last four and mustered a single clean sheet on their travels, promoting Coleman's prospects at both ends of the pitch. 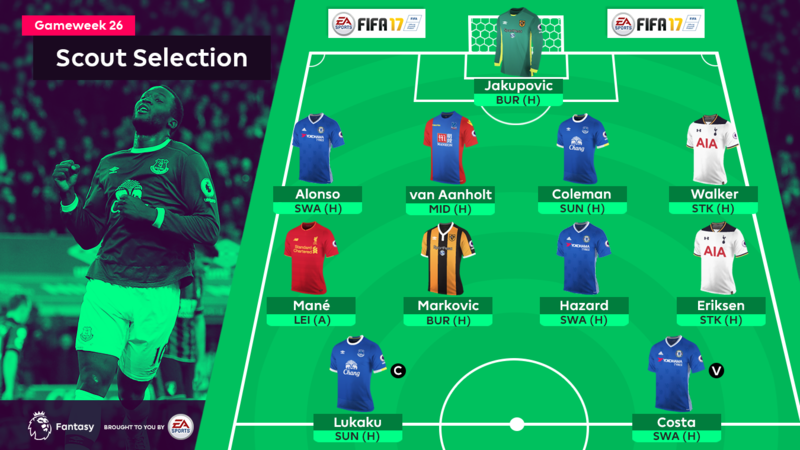 Found in 36.6% of FPL squads, the right-back has returned a clean sheet in four of his last six, along with two assists. The Spurs defence has conceded onlt five goals at White Hart Lane, suggesting that Walker can play his part in shutting out Stoke City to fetch yet another return. Brought in by more than 235,000 managers ahead of Saturday's 2pm GMT deadline, expectations are high. The top-scoring Liverpool asset, averaging 6.0 points per match, Mane has scored or assisted more goals (17) than any other Liverpool player ahead of Monday night's trip to Leicester City. In only two starts, the Serb's searing pace has already become a focal point of the Tigers' attacking ploys. Hull head into Saturday's KCOM Stadium meeting with Burnley having won their four home matches in all competitions under Marco Silva. With eight goals at Stamford Bridge, no FPL midfielder can match the Belgian's five double-digit returns in home matches, suggesting that he will be a pivotal figure in Saturday's meeting with Swansea City. While the Dane has failed to score since Gameweek 16, a goal in the midweek UEFA Europa League draw with Gent offered a reminder of his qualities. With double-digits in four of his last six home matches, we are backing Eriksen to unlock the Stoke City defence to boost his FPL stock once more. Having destroyed AFC Bournemouth with four goals in his previous home outing, Lukaku is now braced for a reunion with a Sunderland side who were victim of his first hat-trick of the season, back in Gameweek 4. The Toffees striker is our caption pick for Gameweek 26. While the Spaniard has provided only a single goal in his last five Gameweek starts, we are backing a return to his prolific form against Swansea City on Saturday. 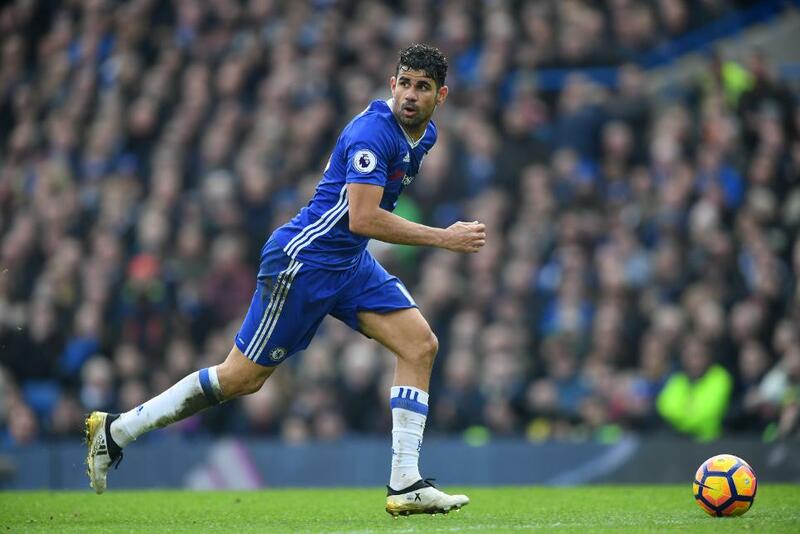 Costa has more goals against the Welsh club than any other Premier League opponent, netting seven times in four appearances against them, including a hat-trick at the Bridge in his debut campaign.